Throughout history Pomegranate tree bark, root, rind, and fruit have all been used medicinally. Pomegranates have also been used to symbolize life, strength, and fertility. 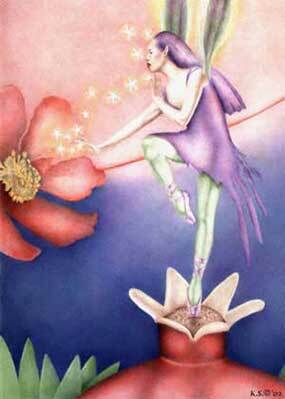 Pomegranate Faery, herself, is a symbol of empowerment and balance. The original illustration is 8.5"x11" and was created in colored pencil. The Pomegranate Faery notecards have a story on the back about a girl who finds the will and power to do what is in her heart.